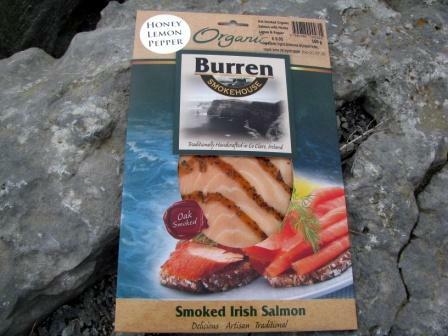 Here you can learn where the fish are sourced from, fresh farmed salmon from the Atlantic, rainbow trout from Irish lakes and wild mackerel which cannot be farmed, are first filleted and then salted before being smoked over oak shavings. The owners Brigitta from Sweden, nobody does it better, and Peter have introduced new recipes and ingredients since they first started in Lisdoonvarna 21 years ago. While staying true to their origins of quality fish and production process, beware of tasteless imposters, they have added some new ingrediants such as honey,lemon, fennel and pepper to enhance the flavours and increase the number of varieties available. A tempting array, of locally produced cheeses, some of which are smoked by the Burren Smokehouse, such as Kilshanney Gouda are the perfect accompaniments to an al-fresco picnic. 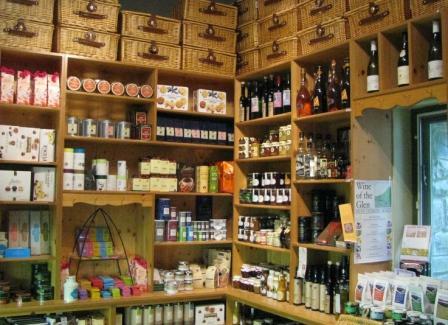 Nor will you be able to resist the St Tolas or Bluebell Falls goat cheeses in their delightful almost too-handy packaging which are delicious (try the honey or black pepper) and that’s before you even begin to peruse the shelves piled high to the ceiling with goodies from the best slow food producers in Ireland. 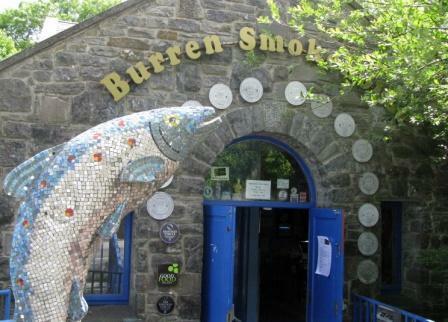 Open 7 days a week, the girls will even make you up a smoked salmon sandwich on freshly made brown bread to take away. 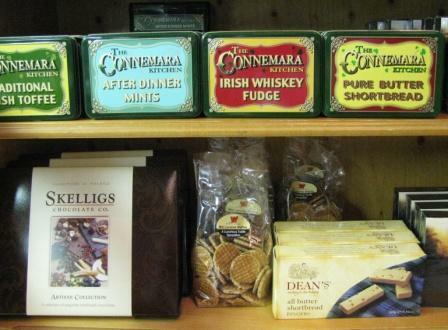 Also available by mail order with hampers from €49 delivered world wide.